World Kickboxing Federation aim was and always will be to enjoy the sport of Kickboxing and martial arts as an international sport, without discrimination over nationality, race or ethnic origin. The WKF head office strongly believes in and upholds an Equal Rights Policy with all its members and those who wish to participate in it. With such a policy, we here at WKF wish to create a friendly and welcoming environment for everyone to enjoy the sport of Kickboxing and martial arts. Member service is our first aim, we care for you because – we are the Real Global Player! Please help to congratulate them on their deserved recognition though hard work and dedication to WKF! 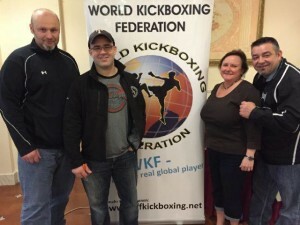 World Kickboxing Federation was founded 1964 in the United States of America and since is doubtless the fastest growing World sanctioning body, with events everywhere in the World. The first WKF was originally formed in 1964 in Chicago, by USKA (United States Karate Association, working 1948 – 1999). In those days WKF meant World Karate Federation, but has nothing to do with World Karate Federation as we know it today (founded 1990 and formerly known as WUKO). Soon it was outlawed because it was full contact bare fist/bare foot. In the early seventies the name was changed to World Kickboxing Federation, long before anybody else came to be. In 2008 the WKF head office was established in Europe under new leadership. For the first time in the WKF history, the structure of WKF had changed. New modern ideas, internet presence and weekly updated World rankings and World wide event schedule was essential for the new WKF. Contracts with new promoters World wide was the first successfully step. 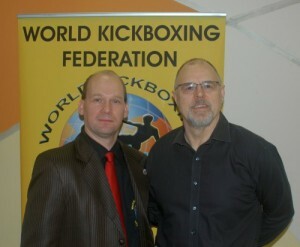 In January 2009 our World Kickboxing Federation official website was re-launched as www.wkfworld.com. In January 2011 Mr. Fritz EXENBERGER from Austria became new World Director/CEO and the administration head office moved to Vienna, Austria. His aim for the first year of 2011 was to sanction 30 major title fights, but by December 2011, WKF head office had already sanctioned 72 (!) title fights on six continents. More than 150 events Worldwide were sanctioned by WKF during his first year as CEO. Today WKF has grown to 117 member countries as of January 1st 2015. Today WKF has six continental office and directors, responsible for administration in their area. WKF is present all over the world, in pro ring sport, MMA and amateur events, stronger and more powerful than ever. We have really busy and successful continental directors, promoters, champions, officials, referees! Without their co-operation, effort and work we would not have established worldwide success.